After cooking the traditional dishes of Thanksgiving, what do I want to do? 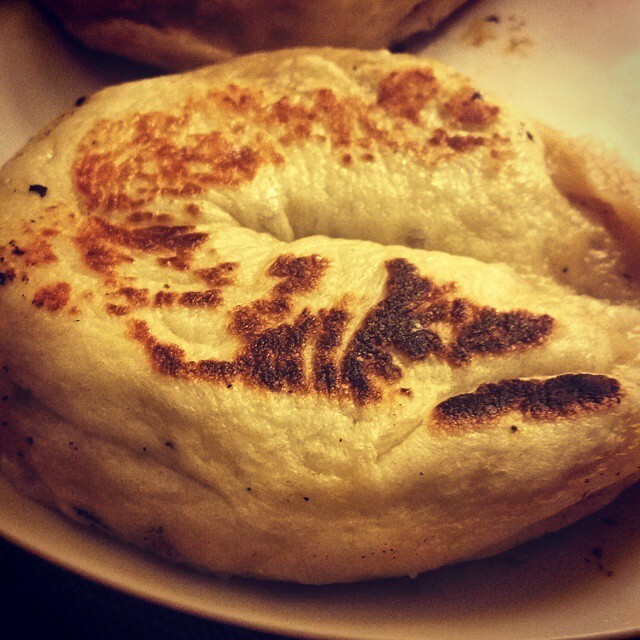 Experiment in the kitchen and make something new! Sometimes I make the most lasting memories in the kitchen from trying something completely different. Every time I think about that one night I attempted to make blueberry cottage cheese pancakes…oh goodness, I can’t stop laughing. What a mess in my skillet. However, failing in the kitchen is a wonderful, beautiful thing because you learn so much from making the mistake(s). You either have to eat that mess you made, or you throw it out in disgust and resort to grilled cheese for dinner (which has happened before!). 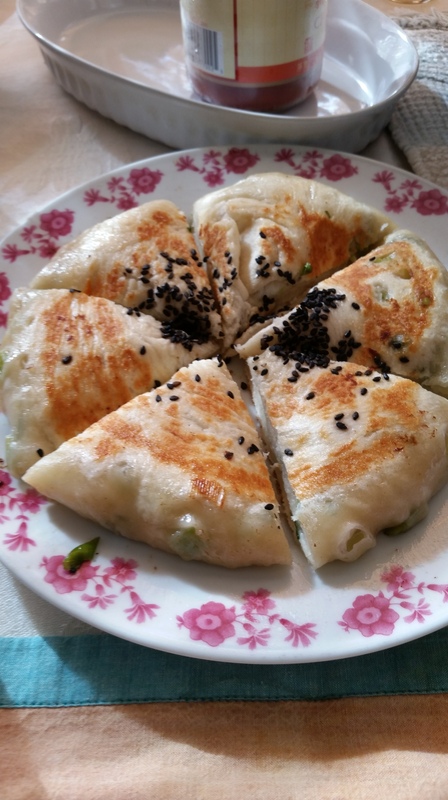 I will not pretend that I am a “perfect” chef, so I will share my experiments with you, telling you what really works and what needs improvement. I made quiche with my friend and her family recently. It came out quite well, with bacon, marinated artichoke hearts, mushrooms, onion, and gruyere cheese. I wanted to recreate it in my little studio kitchen with the ingredients I had on hand. That’s the fabulous thing about quiche – you can put practically any combination of meats and vegetables in it! 1. Thaw the frozen pie crust and pre-bake according to the package’s instructions. Before you put the pie crust in the oven, crack and beat one egg in a bowl and brush some of the egg onto the crust. This will prevent the quiche crust from getting soggy. Note: I tried using Trader Joes’s frozen pie crust. The crust tasted fine, but the texture turned out far more crumbly than I expected. Pillsbury is always a safe bet, and I may use that next time. If you have the time and the recipe to make your own pie crust, by all means, use that! 2. While the pre-baked pie crust cools, prepare the ingredients for the filling and preheat the oven to 350 degrees. Take a cheese grater and grate about a cup of asiago cheese. Shredding your own cheese has its perks. I heard once that packaged shredded cheese can have preservatives that allow it to stay intact and not stick to the other pieces of cheese. While that cheese still melts just fine, hand shredding your cheese will allow it to melt even better. 3. Chop your mushrooms and onion and saute in a pan with a little olive oil until the onions are translucent and the mushrooms have released and soaked up their water (about 5-10 minutes). You can add seasoning here (I used salt, pepper, and garlic powder), or wait until you mix everything together. 4. Put the mushrooms and onions in a bowl to cool. Chop your prosciutto into small pieces (the size is up to you, but I cut slices about an inch long and a half inch wide). Saute the prosciutto pieces in a pan for about 2-4 minutes until the meat is fragrant and crispy. Transfer that to a bowl. 5. Next, crack three eggs into your mixing bowl. Add 1 cup of milk and beat the mixture until the eggs are fully incorporated with the milk. 6. Add the sautéed mushrooms, onions, and prosciutto. Add 1/2 cup of the asiago cheese and mix. 7. If you haven’t added any seasoning yet, do so now. I also added a sprinkling of chopped fresh parsley here for some color and fresh herb flavor. 8. Pour the egg mixture into your pie pan with the pre-baked crust. Take the remaining 1/2 cup of asiago cheese and sprinkle over the top. 9. Put the quiche in the oven and bake for about 20-30 minutes (the deeper the pan, the longer it will need to cook). 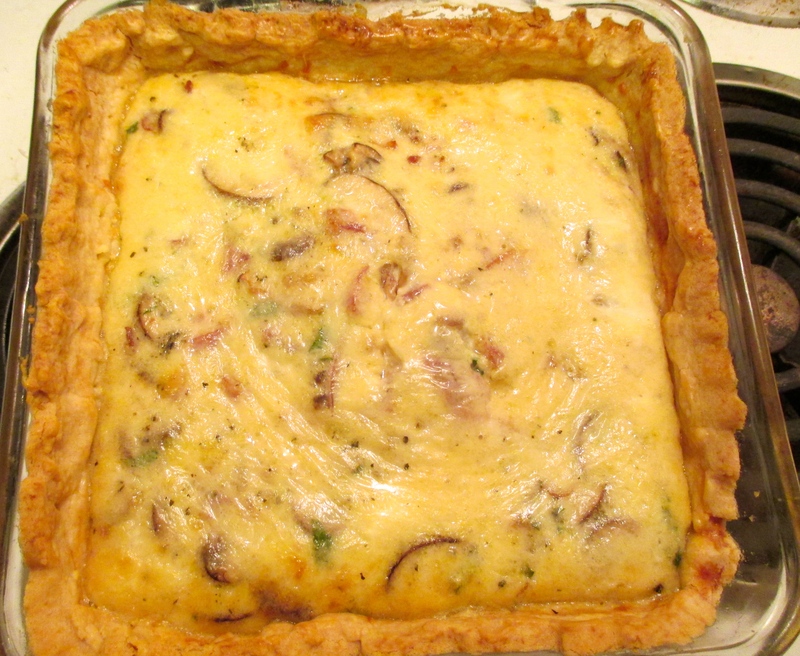 Insert a toothpick into the middle of the quiche to test for doneness – if it’s clean, it’s good to go. Note: I do not own a special pie pan or quiche pan, so instead I used a square pyrex pan on hand. A traditional pie or quiche pan is less deep and will only need to cook for about 20 minutes. The filling came out so well! Next time I will use a different pie crust that won’t crumble so much on me. 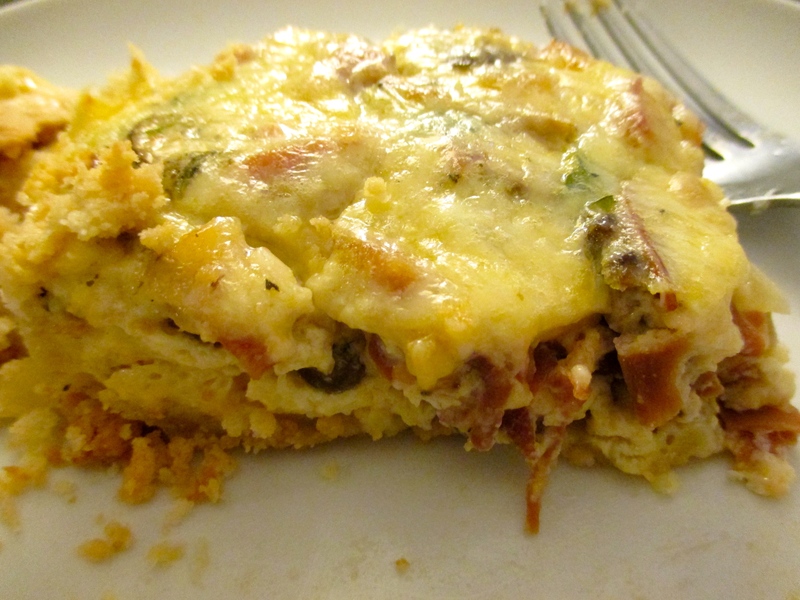 What are your favorite fillings for quiche? I can’t wait to experiment with this recipe more.